Heroes & Villains Fan Fest! Happy New Year everyone! We hope you had a safe and wonderful holiday season and you’re ready to roll in 2018 with us! Well, how about a show? 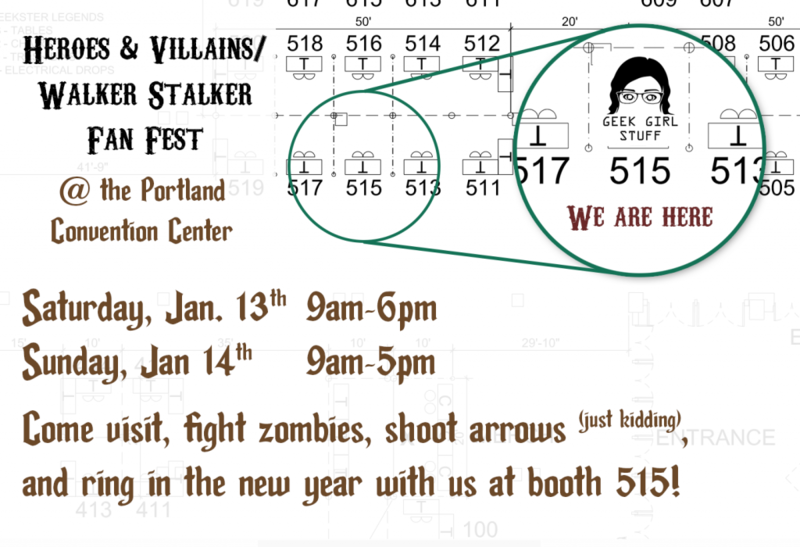 We will be vending at Heroes & Villains/Walker Stalker Fan Fest next weekend at the Convention Center at booth #515. Show floor times are Saturday, Jan 13th from 9am-6pm, and Sunday, Jan 14th from 9am-5pm. This is an event that’s centered mostly around The Walking Dead, Arrow, Flash, Punisher, Boondock Saints, etc. Should be fun! Come say hello!